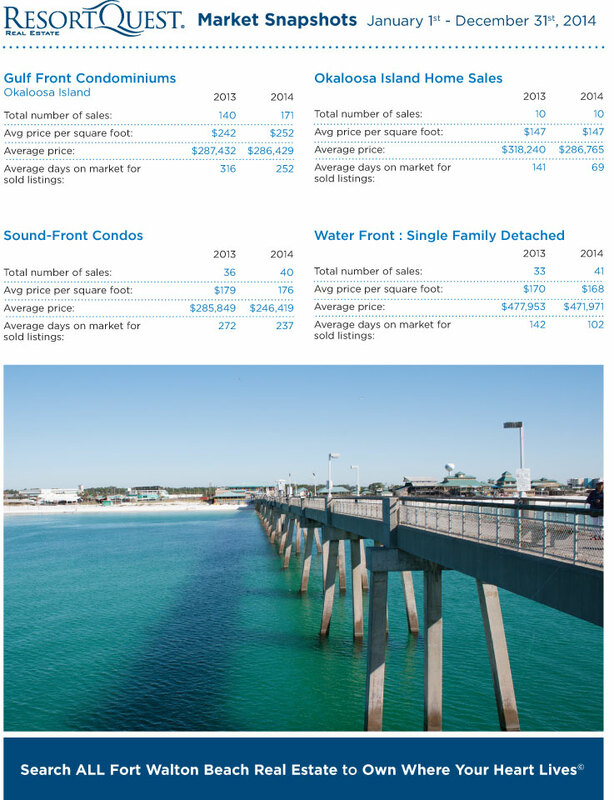 Okaloosa Island is proving many of the area’s neighbording submarkets wrong, with condominium sales up in 2014 from 2013. However, increased average price per square foot and shorter days on the market seem to be a common theme down the coast. Condominium inventory remains low and prices are steadily increasing. 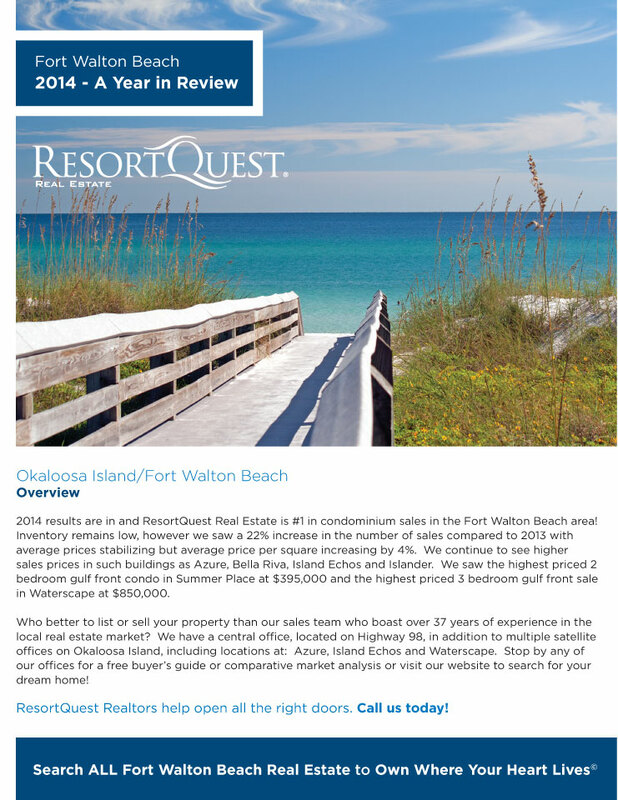 Read on to learn more about the 2014 real estate market in Fort Walton Beach’s coastal market.